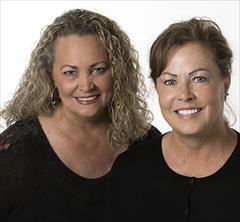 Vickie Lynn Theobald and Debbie Mandel. We hold ourselves to a higher ethical standard. Buying or selling real estate could be the most important financial undertaking in your life. That’s why it is so important to have professional representation, someone who can assist you in making the right decisions. We specialize in Recreational and Land properties as well as homes. lots, acreage. Our goal is all about accomplishing your goal in the most professional manner.